A new home is usually the most expensive thing people buy. This means that their home loan deposit, is likely the largest sum of money they’ll have to save. This can make the process of saving up for your deposit seem rather daunting. But small changes to your savings habits can make all the difference. There are two benefits to good savings habits when it comes to getting a home loan. The first, is that lenders will examine your savings habits, and a good pattern of savings can really help your approval. 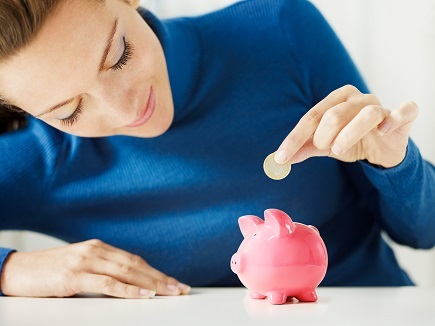 The second benefit, and the one we’re talking about today, is that saving effectively helps you save your deposit faster. Saving up a deposit is usually the slowest part of the process of buying a new home, so the sooner you have your deposit, the sooner you can make your purchase. Saving up means going without, right? While you might have to forego some optional spending in order to save, it doesn’t mean you have to go without. With a little planning, you can still enjoy yourself, while practicing good savings habits that will grow your deposit faster. For example, if you enjoy going out to the cinema, look into how to get discounted tickets. Movie sessions on certain days, or at certain times can be a fraction of the cost! Want to go out for drinks with friends? Choose a venue with happy hour discounts. These savings might not seem like much, but when added up, they can be quite significant. Taking these simple steps really can help you get into your new home faster. I’ve just started saving, can I still get help planning my home loan? saving your deposit, Desiree can still help you plan your purchase, and your home loan application. We can advise you of your anticipated borrowing capacity, and what actions you can take now, to increase the chances of your application being approved.